SACRAMENTO, Calif. — The California State Historical Resources Commission (Commission) will consider eight nominations for federal historic designation and one nomination for state historic designation on Wednesday, May 8. The Commission meeting will be held at 9 a.m. in the Plaza Ballroom at the Hilton Palm Springs, located at 400 East Tahquitz Canyon Way, Palm Springs. The Division of Boating and Waterways and the California Coastal Commission ask boaters to practice environmentally sound boating habits not only today on Earth Day, but throughout the year. Preserving the environment every day helps keep California’s waterways healthy all year long. The Division of Boating and Waterways (DBW) is encouraging public agencies to apply for grants to prevent the spread of quagga and zebra mussels in California’s waterways. A total of $3.75 million in funding from the Quagga and Zebra Mussel Infestation Prevention Grant Program (QZ Grant Program) is available for eligible applicants. Applications will be accepted from April 2, 2019 through May 10, 2019 by 5 p.m.
California State Parks is reminding the public that Julia Pfeiffer Burns State Park remains closed due to extensive damage caused by recent storms. The popular park has been closed since early February when heavy rains and high winds pummeled the Big Sur area. The restroom facilities and visitor welcome station at the park were severely damaged and need to be repaired. The closure means there is no access to the Waterfall Overlook Trail which leads to the iconic McWay Falls. With the Sierra Nevada snowpack estimated at 153 percent of average, California’s Division of Boating and Waterways (DBW) is warning water enthusiasts including anglers to take extra precautions this spring. Rivers will continue to rise as snow melts and will be dangerously cold. Simple actions such as knowing the water conditions (is it too cold or swift? ), knowing your limits, wearing a life jacket and simply not entering rivers during spring runoff, can save a life. The California State Capitol Museum is honored to present an all new exhibit that looks at the fascinating 150-year history of the Golden State’s Capitol. 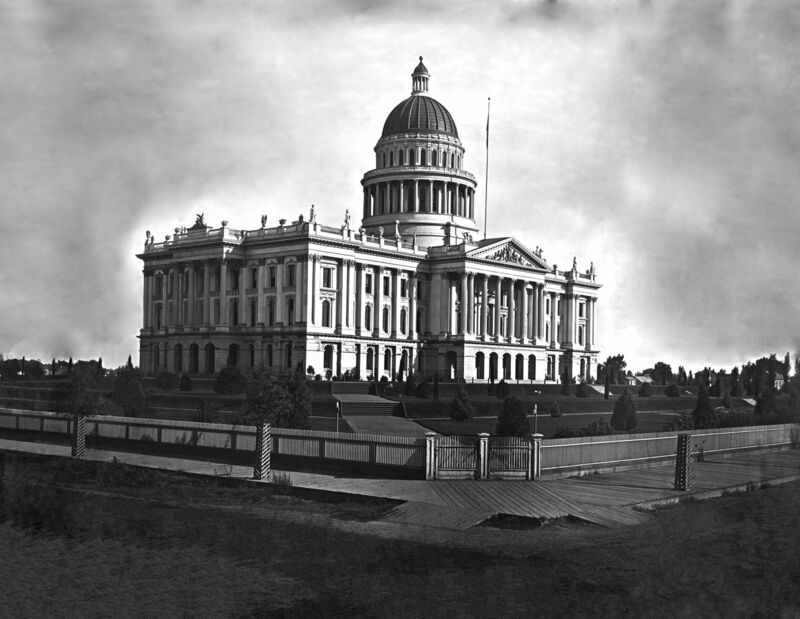 Entitled “Building a Legacy – One Hundred and Fifty Years of the California State Capitol,” this exciting new exhibit examines both the construction and restoration of one of California’s grandest structures. The media is invited to get a sneak peek at the exhibit before it officially opens to the public on March 20, 2019. The Division of Boating and Waterways (DBW) is set to begin this year’s efforts to control aquatic invasive plants in the Sacramento-San Joaquin Delta region and Suisun Marsh. Pending weather conditions, DBW will begin herbicide treatment next week for water hyacinth, South American spongeplant, Uruguay water primrose, alligatorweed, Brazilian waterweed, curlyleaf pondweed, Eurasian watermilfoil, coontail and fanwort as part of an integrated plant control program. California State Parks and the Stewards of the Coast and Redwoods announced today that the day-use fee at Armstrong Redwoods State Natural Reserve (SNR) and Austin Creek State Recreation Area (SRA) will increase from $8.00 to $10.00 per vehicle, starting Friday, March 15, 2019. This fee is consistent with other day-use fees in the State Park System. The Division of Boating and Waterways (DBW) invites marinas and yacht club operators to attend a free seminar to learn about the proper way to respond to an oil spill. As waterfront stakeholders, marina and yacht club operators have extensive local waterway and boating knowledge. Attending a workshop will help these individuals learn about the tools and resources available to increase communication capabilities between boating facilities and the Office of Emergency Services during an oil spill. The Division of Boating and Waterways and its partners invite everyone accessing California’s waterways to learn how to prevent the further spread of aquatic invasive species (AIS) into uninfected waterways. Starting next month, AIS experts from the division, California Coastal Commission, California Department of Fish and Wildlife, and U.S. Fish and Wildlife will be holding free workshops to help the public learn how they can recognize AIS in their region and how to take action to prevent it from spreading. Workshops are free, but space is limited and pre-registration is required.